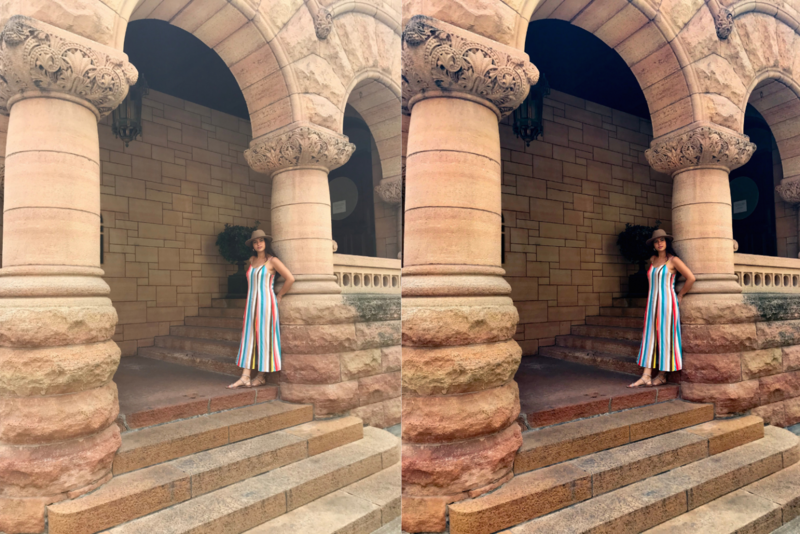 Recently, I’ve found myself teaching so many of my friends my little tricks that I use to edit Instagram and blog photos, so I thought I’d lay it all out for you too. There are a couple really great apps that I love and they’re quite easy to use so here are all my favorite tools and a little bit about how to use them and the features I use each for. If you only read about one tool in this post, make it this one! Lightroom is incredible and I wish I had found it sooner. It has everything you need and is free to download and free to use. It’s an Adobe product, so if you have a subscription you can sign in to access a few extra features, but really you can use 98% of the tools within the app (definitely all that you need) for free. The features I love most in Lightroom are the lighting adjustments, the color adjustments and the dehaze feature. The color adjustments particularly are amazing. You can take any color and either desaturate or saturate it more, change it’s hue entirely, or brighten or darken it. Perfect for if you have certain tones in your feed that you like to stick within. You can also add grain with the app, for those that like that look in photos. This app has some great features and some strange ones. We’ve all seen those photos where people have blurred out their face so much it looks ridiculous. That was likely done with Facetune and is a clear case of overdoing it. The “smooth” tool is the one responsible for this, but it can be used lightly to blur out some little blemishes and whatnot. Another great tool in the app is the “details” tool. This one helps to sharpen anything you’d like in the photo. It’s fun to brush it over eyelashes, hair, or any other texture you want more pronounced. 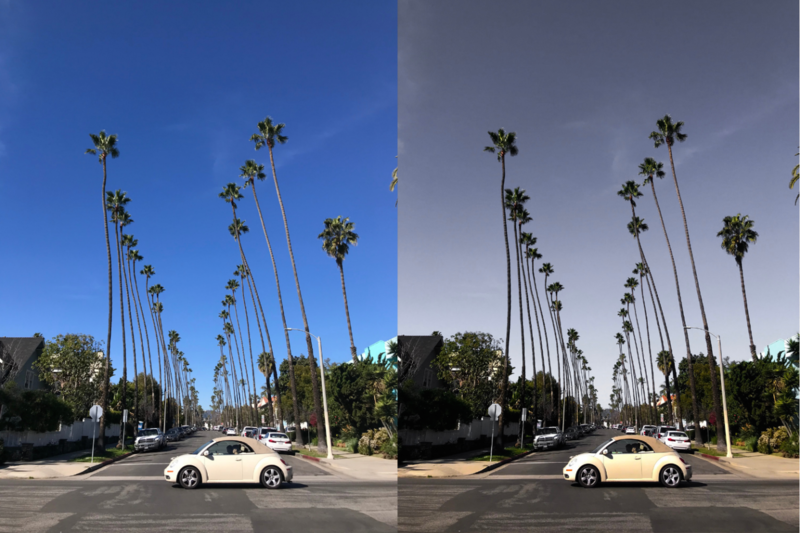 The Lightroom app offers sharpening, but only all over the photo. This one lets you choose with your finger exactly where you want sharpened. There’s also the “patch” tool which is basically a mini version of the Photoshop clone stamp. 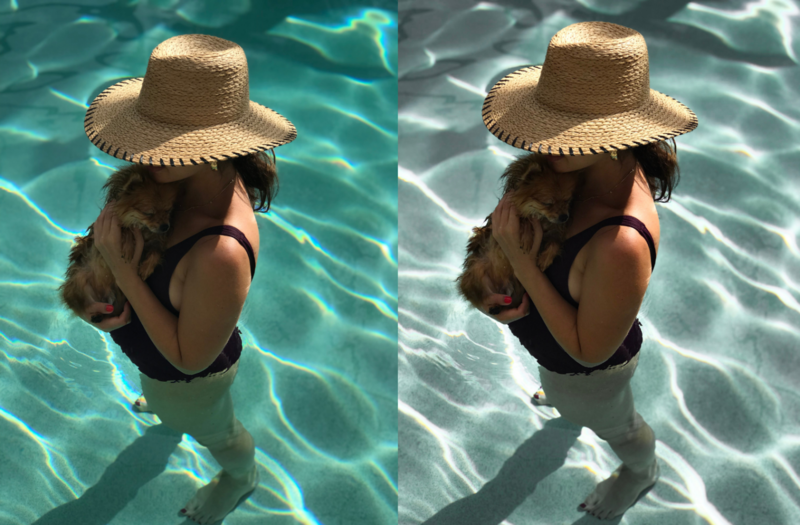 If you just have one tiny thing you’d like to fix, you can use the patch tool to select an area of the photo to basically cover another area with. I think it’s just a dollar or two to download and you have it forever. Not an app (though there is an app but I never use it, I prefer to use on the computer) but an amazing program for editing all sorts of things. Basic tools I love include the clone stamp, hue/saturation, and magic wand. If you really have a lot you’d like to edit, Photoshop is the way to go. You need an Adobe subscription to use Photoshop, but if you work with photos and even illustrations or other forms of art, it’s a worthwhile investment. I’m not a VSCO expert, and don’t have a subscription with them, but there are some free filters on there that are great. I like to look through them and take their intensity down a bit to use just a soft version. Great for a different look than the IG filters (which I never use) and keeping a steady theme to your photos. Worth noting: I do not ever use the filters within Instagram. I actually think they result in a grainer/blurrier photo and they never look right. Lightroom offers you all the little tweaks you wish you could access within IG, so I recommend doing the whole edit within LR. I’ll also add that I don’t go nuts! The key to taking a great photo is all about lighting. If you have great lighting (I prefer natural! ), you’ll only have to make minor edits to achieve the look you’d like. Keep it simple and you definitely don’t need a 50 step routine for a photo. Ain’t nobody got time for that. Do you guys have other tools you love? If so, tell me about them! Thanks for sharing this info! I’ll definitely check out Lightroom! Love your posts! Very instructive . Thank you for sharing this fabulous post. I’ll sure put into practice some of your tips.